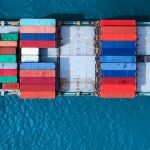 Docker recently announced the latest version of its enterprise container platform, Docker Enterprise 2.1. It’s the only platform of its kind on the market that is designed to accommodate both Windows and Linux applications. You can also use Docker Enterprise 2.1 in conjunction with the new Windows Server application migration program to secure and modernize Windows Server applications and continue innovating across all applications from any environment. Here are some of the details you should know about the new platform. Docker Enterprise 2.1 includes a couple of security enhancements that could impact all organizations, especially those in industries that are highly regulated. SAML 2.0 authentication helps you integrate with your preferred Identity Provider to enable either single or multi-factor authentication. FIPS 140-2 standards allow you to validate important data within Docker Engine, especially for industries that follow FISMA, HIPAA, and HITECH. Additionally, the platform contains detailed logs across both the cluster and registry, along with Kubernetes network encryption to protect all host-to-host communications. The platform also includes several features and enhancements designed to help administrators streamline cluster and application operations. For example, it has new health status dashboards, improved visibility for runtime vulnerability, task activity streams, and online garbage collection and policy-based image pruning. Docker Enterprise 2.1 also includes support for Windows Server 1709 and 1803, along with Windows Server 2016. It is also slated to also support Windows Server 2019 when it is released. So organizations that use these Windows Server applications can also take advantage of the latest Docker Enterprise developments. More specifically, these updated support features include networking enhancements, improved compatibility, and the ability to work with smaller image sizes. In addition, Docker Enterprise is getting an update with Kubernetes 1.11 and is adding support for new and advanced Kubernetes features like pod autoscaling.